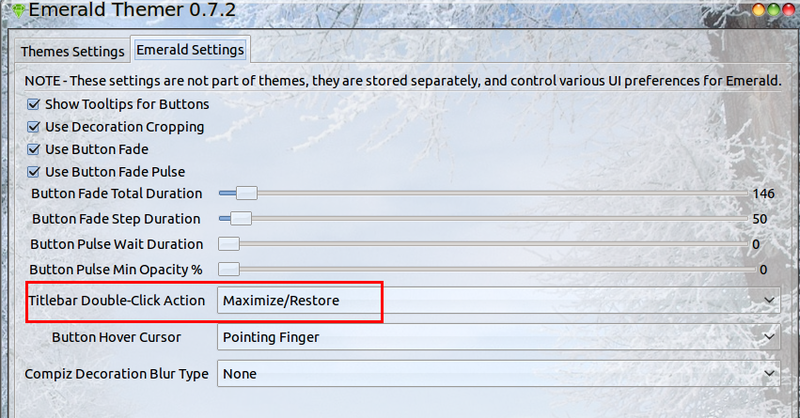 Double-click action on a window title bar originally maximize/restore the window in Ubuntu default settings, and it can be changed to Shade, Lower, Minimize, and so forth under System -> Preferences -> Windows. 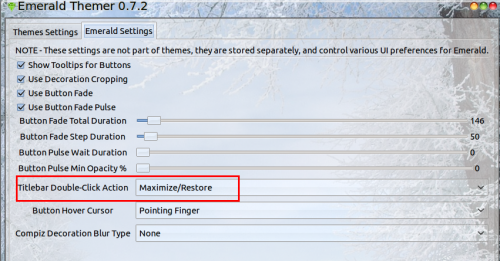 But if enabled desktop visual effect with Compiz and using Emerald Theme Manager instead the default, previous setting won’t take effect. 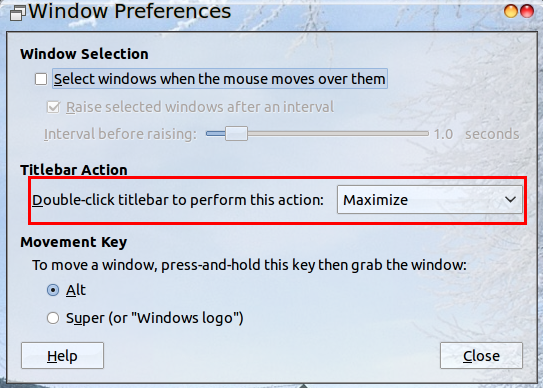 So to set double click title bar to maximize window, head to System -> Preferences -> Emerald Theme Manager -> Emerald Settings tab and change value of “Titlebar Double-Click Action” in following window. 1 user responded in " Double Click Title Bar to Maximize windows instead of Roll up/down "
Run in terminal: “gconftool-2 -s -t string /apps/gwd/mouse_wheel_action shade” this will fix it for those using Unity on Ubuntu 11.10 (the Gnome change above wont work for Unity users).